Various organizations need to recruit new members to their team every now and then. For this purpose, they need to spread the word through advertisements. Newspaper ads are one way of letting people know about such recruitment. Another more effective way can be through brochures. In contrast to a small newspaper add, more information can be provided through a brochure. 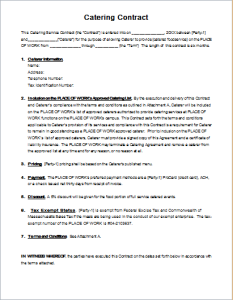 An organization can list down all of its requirements. Additional information can also be provided, such as the history of the organization. 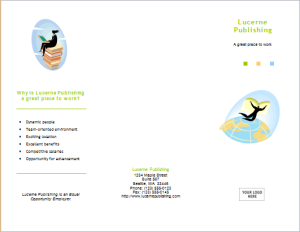 Similarly, the brochure can also carry facts and figures about the organization, its motto and a discussion about its goals. More potential candidates can be motivated to join your organization through such information. 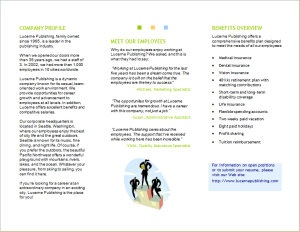 You should also turn to other ways of making the recruitment brochure more attractive and interesting. 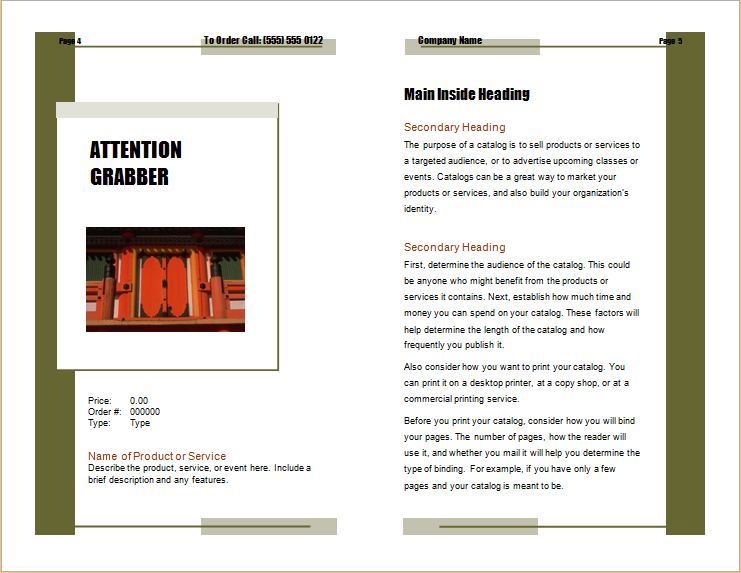 Firstly, you must focus on the major layout and formatting. 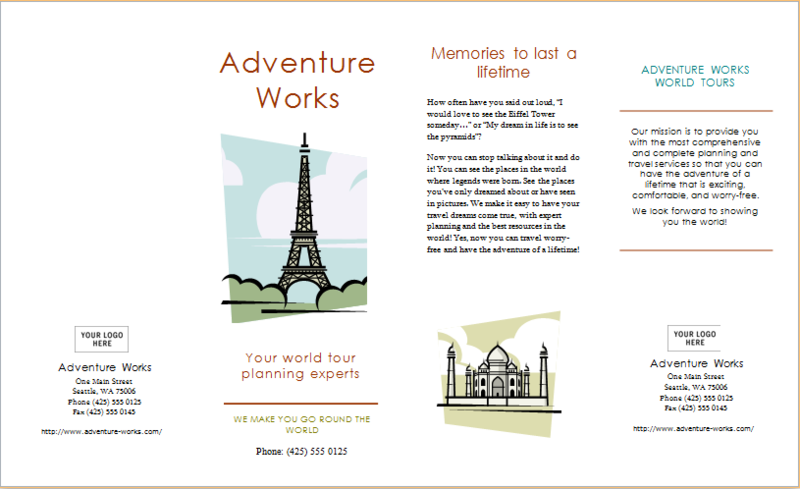 This will be the first impression of your brochure. People should be able to see all the important information at a single glance. Therefore, you must highlight what’s important. Use bold formatting style for such information. 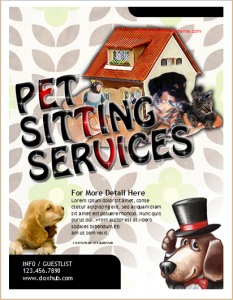 Secondly, the choice of colors and the overall designing of the brochure also carry immense importance. It should be suitable for your organization and requirements. Take ideas from the internet. 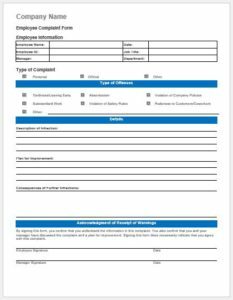 You can also turn to templates for recruitment brochures. Use the layout and basic structure to save time. 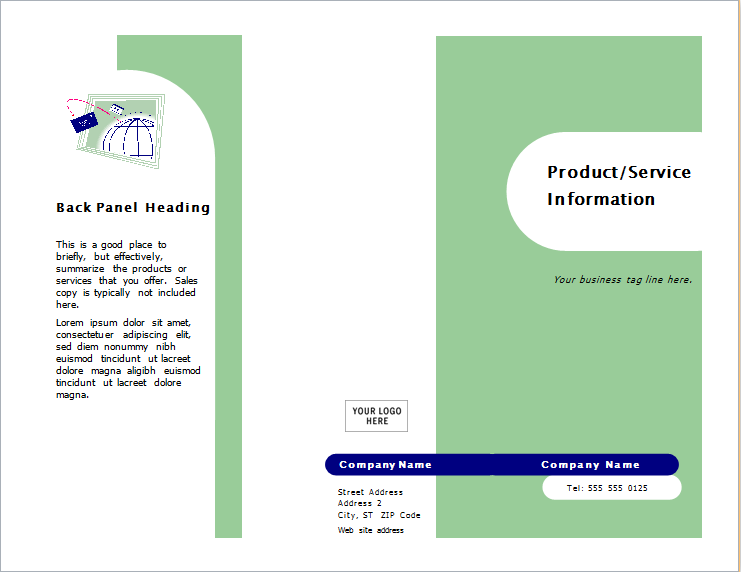 Customization can be performed to make a personalized brochure according to your organization’s needs. The whole process should be given some time and thought to get the perfect results.